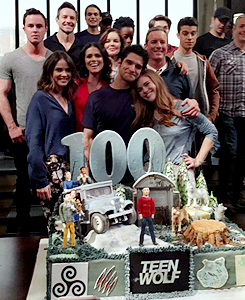 celebrates wrapping the mostrar and reaching their 100th episode. . Wallpaper and background images in the Shelley Hennig club tagged: photo teen wolf 2017 tumblr.